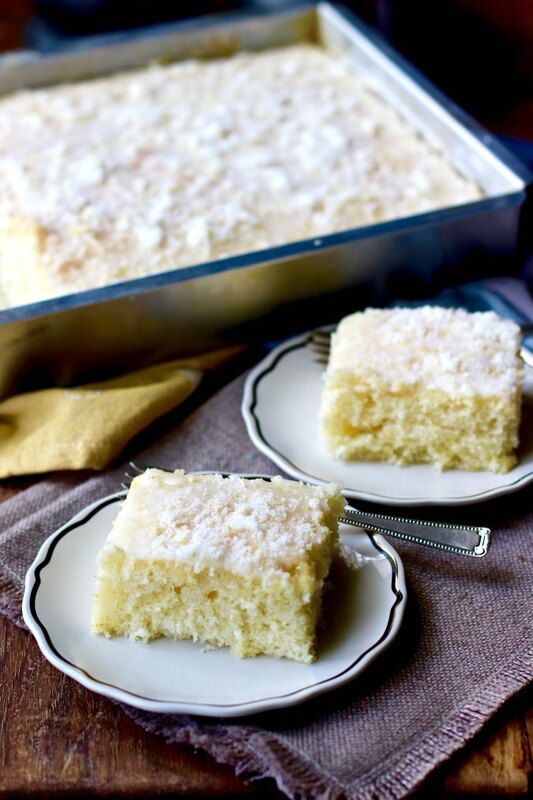 This lemon buttermilk sheet cake is so soft and tender, and it's loaded with the sweet/tart flavor of lemon. The cake itself contains three tablespoons of lemon zest and 1/4 cup of lemon juice, making it super lemony. You actually beat the lemon zest and the sugar in the bowl of a stand mixer to release the lemon flavor in the zest. Some of this sugary lemon zest is reserved to sprinkle over the delicious glaze on this cake, and the rest is beaten into the butter until the mixture is light and fluffy. This cake is made with cake flour, which resulted in such a nice soft and velvety crumb. 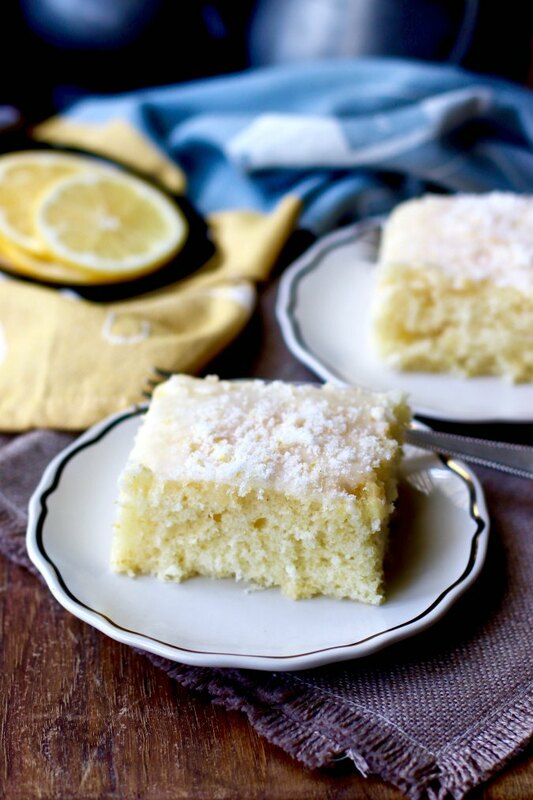 The glaze on this cake contains even more lemon juice and confectioners sugar, which, after it is spread over the cake, is sprinkled with the reserved lemon sugar. As much as I bake, I make very few cakes, mostly because I'm not particularly good at making food look pretty. I'm better at making a loaf of bread that splits open while baking into a craggy top. This is one of the reasons why I love this cake. First, it's a sheet pan cake, so there's no fussing with layers and getting them straight. Second, there's no frosting to mess up! Just pour the glaze over the top of the cake and sprinkle it with the lemon sugar. However, I did join a new baking group, The Cake Slice Bakers. We are baking our way through the book The Perfect Cake from America's Test Kitchen. I figured it would force me to flex some new baking muscles and finally learn how to made beautiful cakes. After all, I learned how to bake bread from books, so why not cake? I took this cake to work and the slices flew of the plate. I wish I could share the recipe with you but the publisher did not give permission. If you have the August/September, 2008 issue of Cook's Country Magazine, it's in there. You can find it here as well. Or get the book! You won't regret it. So many delicious cakes. You definitely know how to make baked goods pretty and delicious. These photos are amazing, and if I lived closer I would be begging to come over fro a slice of your cake and some photography lessons. 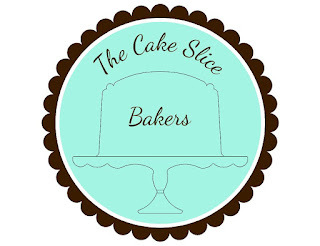 I am so glad you have joined The Cake Slice Bakers. Great pics, Karen! I look forward to seeing your next bake. 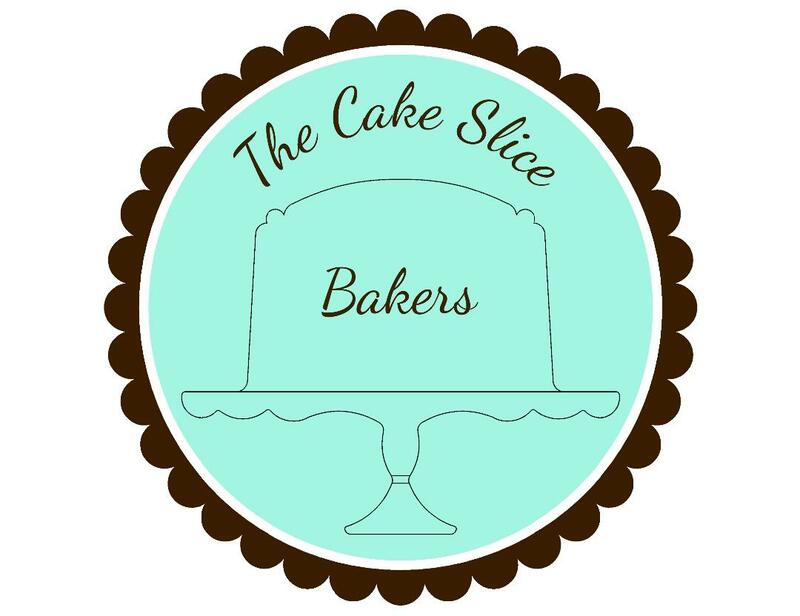 And welcome to The Cake Slice Bakers. Gorgeous presentation and welcome to the group!